It's freezing in ol' London Town this morning... which has - inexplicably - put me in the mood for ice lollies! I dunno.... don't ask, don't tell! 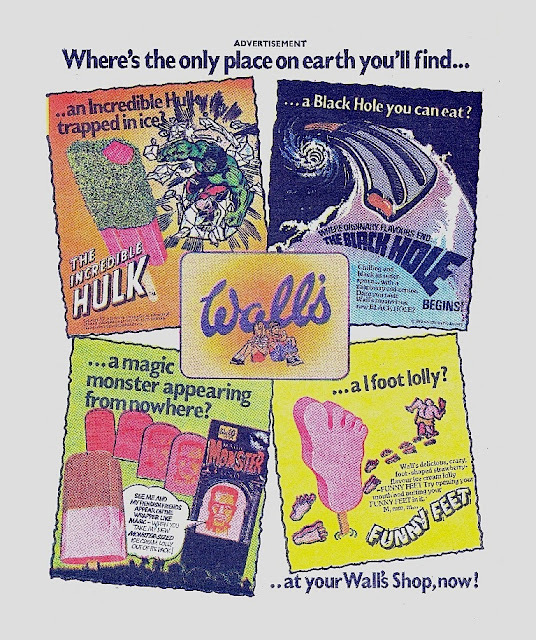 So I've unearthed this summer 1980 (6 July 1980 to be precise) advert for Wall's Ice Lollies, originally published in IPC's weeklies, featuring a couple of very familiar geek brands. A Black Hole you can eat.... so bold!